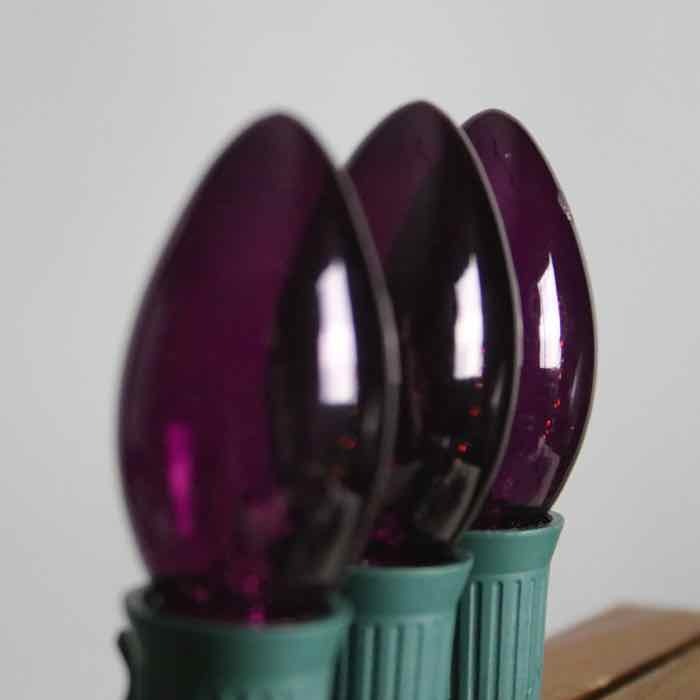 This purple C9 smooth incandescent bulb will embellish your lighting decor with a lovely jewel tone. This purple lights throws a lot of pink resulting in a violet purple/magenta glow. For the truest purple that you can get in a Christmas light, please consider our purple LED line. Purple C9 bulbs are ideal for both indoor and outdoor applications. 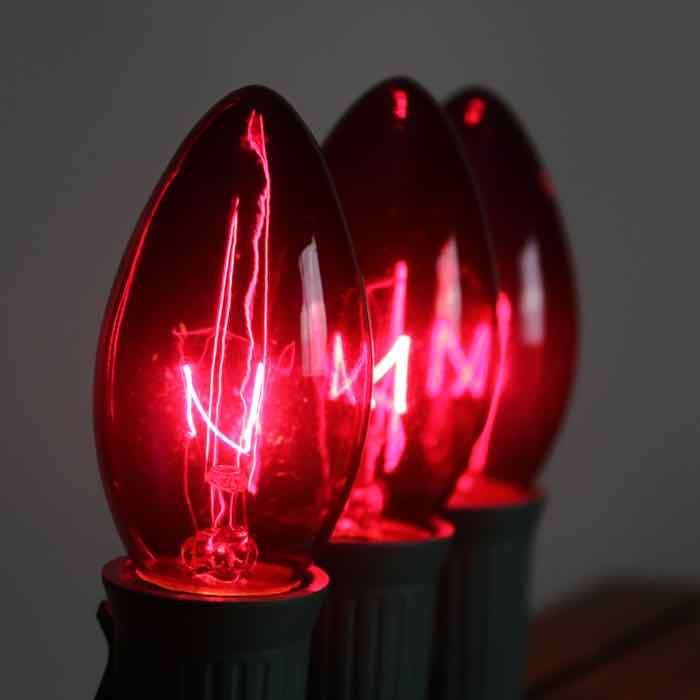 The large bulbs are great as a standalone color or can be combined with a second color to liven up Christmas or special occasions. Christmas will shine when you deck your halls with these C9 lights. Purchase a green cord to blend in with your tree or garland greenery. Purchase a white cord if you have an artificial white tree. 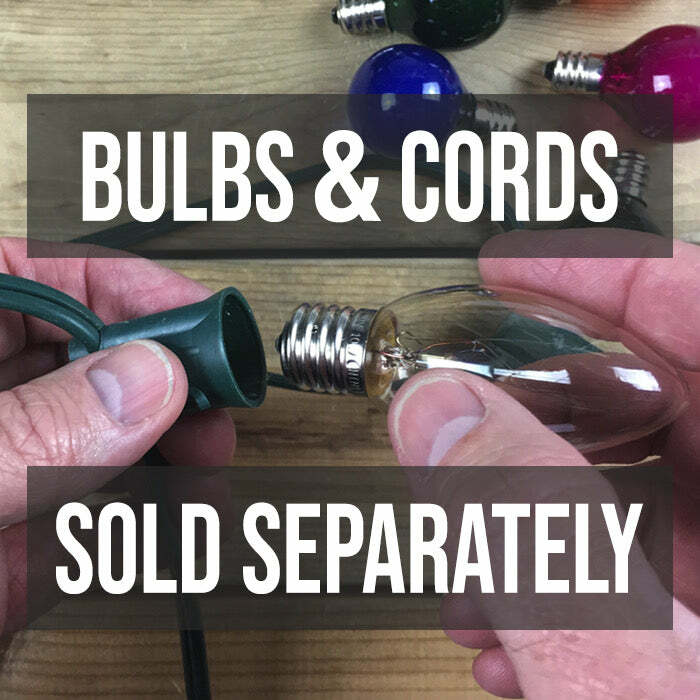 Bulbs and cords are sold separately at Christmas Light Source to allow maximum flexibility when choosing colors, shapes and finishes. We love helping our customers make their events sparkle!